CHEVY CHASE, MD -- October 15, 2018 -- WeddingWire, Inc., the global online leader connecting engaged couples with wedding professionals, today launched two new apps -- WeddingWire for Guests and WeddingWire for Business -- to help enhance the wedding planning and attendee experience for its three key audiences: couples, guests and wedding professionals. Most wedding guests - two out of three to be specific - rely on a couple’s wedding website to stay up to date on celebration details and prefer access on-the-go. The two new WeddingWire apps address this heightened demand for mobile accessibility among couples, guests and vendors alike by allowing for information sharing and account management from any mobile device at any time. 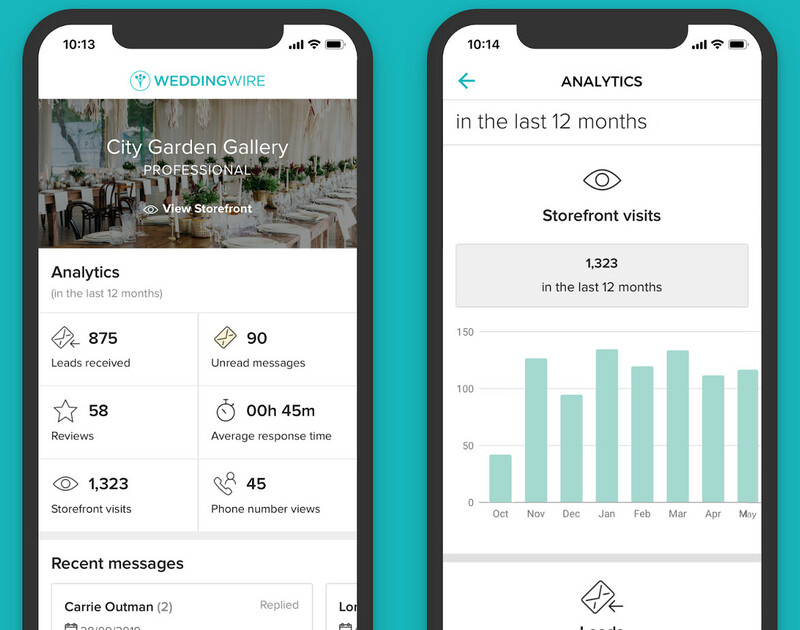 With the WeddingWire for Guests app, engaged couples can easily view all wedding photos and videos taken by guests in one place. Additionally, guests can seamlessly access details about everything from the registry to the reception on the couple’s wedding website, and share memories from dinner to dancing. Unlike traditional social media platforms, where photos are often difficult to save or download, hidden due to user privacy settings, or challenging to find due to intricacies of searching by hashtag, WeddingWire for Guests allows everyone on the guest list to enjoy the entire photo album from the big day. 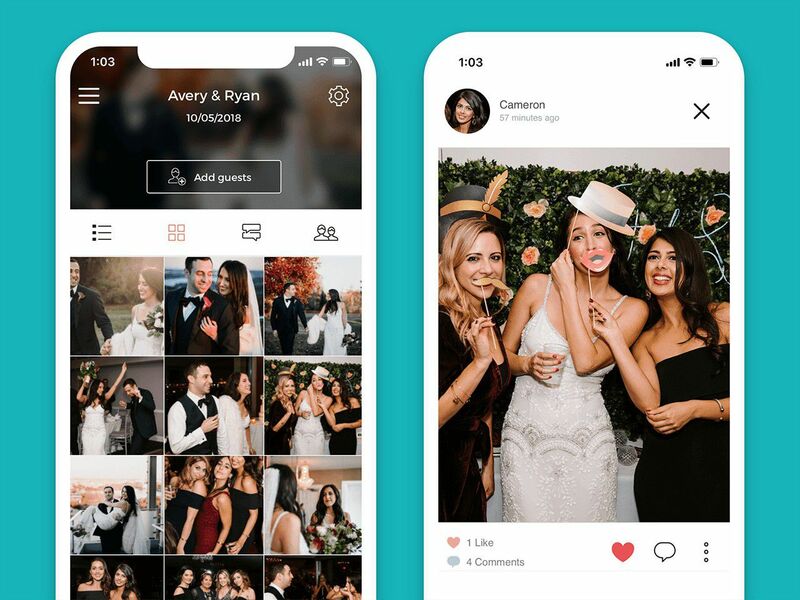 With one-in-four newlyweds looking at photos on social media immediately following their ceremony and reception, and nearly 50 percent of wedding guests posting photos, the new app ensures content is easily findable and special moments are not missed. Engaged couples can invite every guest to download the WeddingWire for Guests app and join their album with a unique numerical code or QR code. Couples can include this code in their save-the-dates or invitation suites, on their wedding website or signage at their wedding for easy access by guests. From there, each guest can create a profile within the app, upload content from the festivities and interact with other guests’ content via likes and comments. Images can be uploaded from a phone’s camera album or taken directly in the app. Content is also easily downloadable to a mobile device directly or desktop through a gallery link sent via email. To download WeddingWire for Guests, visit the App Store or get it on Google Play. Vendors now have a simple way to manage their business while on-the-go with the WeddingWire for Business app. From managing their Storefront to responding to leads quickly, the app drives efficiency in communicating with potential and existing clients. The app gives vendors easy access to their account performance with analytics in key areas including website traffic, Storefront visits, leads received and incoming calls. Real-time notifications and customizable quick-reply templates also immediate alert vendors to new leads so they are responded to promptly for increased potential business. To download WeddingWire for Business, go to the App Store or check it out on Google Play.